Owning a Rosella can be one of the most rewarding things you can do, but proper care, starting with a proper diet, is essential to keeping these birds happy. Rosellas are a species of parakeet from Australia that have become popular pets due to their colorful plumage and friendly dispositions. They subsist on a mostly vegetarian diet of seeds and fruits that are readily available at most supermarkets and pet stores. There are eight distinct types of Rosellas. The Eastern Rosella is the most commonly found species of Rosella in the wild and captivity. Their natural habitat consists of lightly wooded low-land areas. 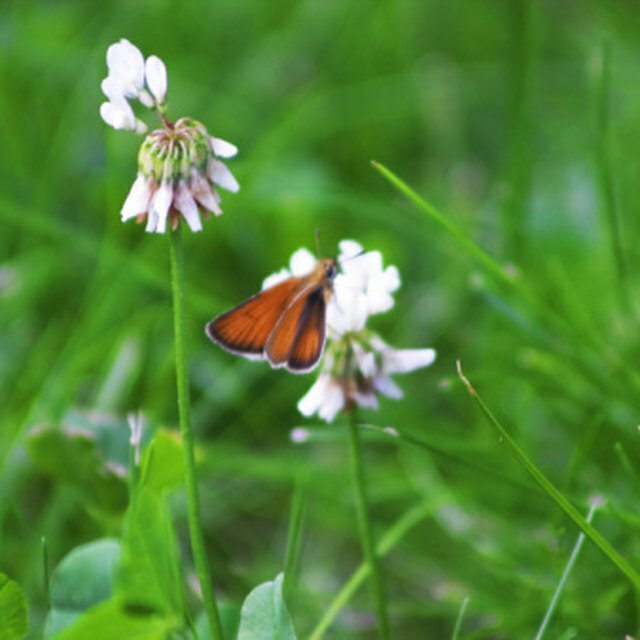 This habitat provides the birds with a steady diet of grass seed, small plants, bugs, berries, grubs and wild fruits. Rosellas particularly enjoy eucalyptus and exotic Hawthorne plants in the wild. In captivity, they consume the same type of diet as in the wild with the addition of some fresh fruits and vegetables. Captive Rosellas have access to a much wider variety of fruit species than in the wild. 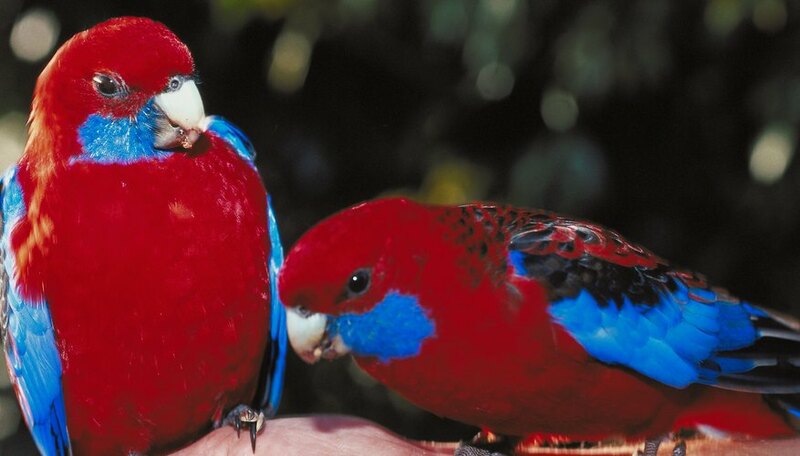 Rosella owners feed their birds fruit from their native habitat in Australia and Tasmania as well as fruit that doesn't grow there. Rosellas generally prefer eating non-native fruits such as apples, blackberries, oranges and mangoes. The Avian Web website suggests that different species of Rosellas have different fruit-eating preferences. According to the website, crimson Rosellas prefer fresh fruits while golden mantle Rosellas prefer to eat only small bits of fruit and leave the rest for later. Many non-predatory birds' diets consist, to a large extent, of various seeds. Rosellas also consume their share of seeds both in the wild and in captivity. Bird experts suggest a steady diet of cockatiel or canary seeds, safflowers, sunflowers and millet. They also suggested a mix of a sprouted or germinated seeds for a well-balanced diet. Sprouted seeds contain more nutrition and less fat than dry seeds and are a healthier alternative for Rosellas. Many Rosella owners feed their pets a variety of vegetables. Rosellas preferences run toward cucumber, kale, sweet potatoes, alfalfa, corn on the cob, broccoli and beans. In the wild, Rosellas often eat worms and small insects when available. In captivity, owners often supplement their diet with these food sources as well as meal worms and boiled eggs as a source of protein. Leeland Bettis has been writing about investment since 2005. As the former editor of an investment newsletter his work has appeared in Forbes.com, the Bloomberg Financial Network and other reputable news publications around the world. Bettis holds a Master of Arts in international relations from the National University of Singapore. Bettis, Leeland. "What Do Rosellas Eat?" Sciencing, https://sciencing.com/rosellas-eat-12000454.html. 24 April 2017.